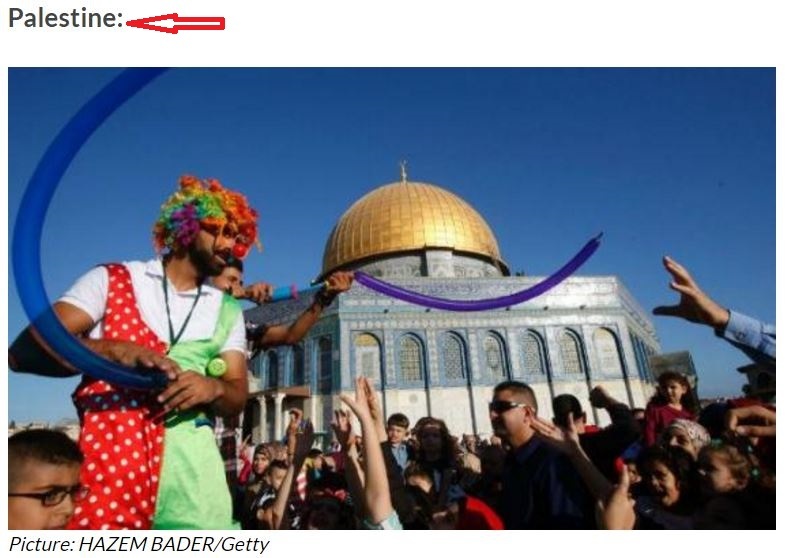 We recently posted about a Sept. 12th article highlighting photos of Muslims celebrating the festival of Eid al-Adha published at Indy100 (a brand of The Independent) which placed the Dome of the Rock, located on the Temple Mount (Judaism’s holiest site), in “Palestine”. 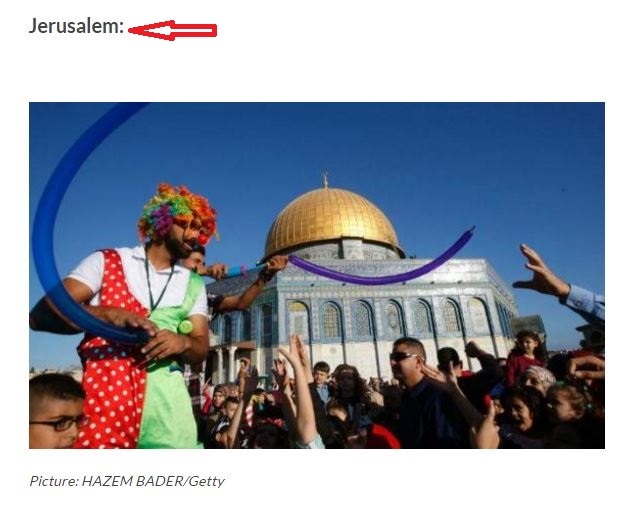 We complained to Indy editors, arguing that it’s inaccurate to claim that the Temple Mount is located in “Palestine” (a country that doesn’t exist), and noting that articles on the same topic at The Independent typically describe holy sites atop the Temple Mount (more neutrally) as located in “Jerusalem” or “the Old City in Jerusalem”. If even the Independent can learn there is hope. Well done Adam. We have seen with the blatant easily demonstrated example of Netanyahu’s reception at the NY production of Hamilton being applause and not boos that the Palestinian cause only succeeds via lies. “Palestine” is a Father Christmas state. A lot of people believe Father Christmas exists. A lot of people wish that Father Christmas existed. But the reality is that Father Christmas does not exist. A lot of people believe there is a state called “Palestine”. A lot of people wish that a state called “Palestine” existed now. But, the reality is that no state called “Palestine” exists. This small correction is very important–thank you. First, the UK media casts a long shadow (I’m writing from the US). The governing paradigm for liberal publications and Web sites is to pretend that Palestine exists and Israel is standing in the way. The reality, of course, is that no country called Palestine exists, in large part because the Palestinian government/s (starting with Arafat) are standing in the way, hoping Israel will vanish. Thank you for insisting otherwise. There are no ‘Palestinian governments’. There is only a quasi-Nazi genocidal mafia.